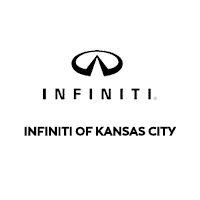 Selecting and financing your next vehicle can be stressful, but at INFINITI of Kansas City it doesn't have to be! Thanks to the rotating INFINITI specials available at our dealership, you can find an INFINITI QX80 or INFINITI Q60 for a price that won't go over your budget. If you have any questions about our exclusive offers or new vehicle inventory, contact our team at your convenience. Once you've finished pursuing our new vehicle specials online, it's time to visit our Merriam showroom for a test drive. Our team is ready to walk you through the car-buying process and narrow your search to get you behind the wheel of the new vehicle that fits your needs and budget the best. Apply for financing or estimate your monthly payments using our payment calculator.